Please register here for the next AMLIGHT SAACC Meeting – May 18, 2018 – Virtual. 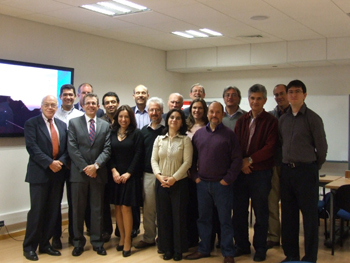 Given the extensive use of AmLight-ExP by the astronomical community, the AmLight-ExP PI will convene a South American Astronomy Coordination Committee (SAACC) that will be comprised of representatives from the various astronomy projects who are conducting projects or operating observatories in South America. The chair of the SAACC will be Dr. R. Chris Smith, director of the Cerro Tololo Inter-American Observatory and head of mission for AURA Observatory in Chile, which provides oversight of the Chilean activities of CTIO, Gemini, SOAR, and LSST. The SAACC will serve not only to provide input and advice to the AmLight-ExP PI and the AmLight Consortium on program and network needs, but will also serve as a venue for coordinating the needs of these astronomical projects and institutions to improve their resource planning and implementation of operational connections between these distant facilities and users in the continental US. A number of wide-scale international collaborations utilize the enhanced connectivity provided by AmLight including the Large Hadron Collider and the major astronomy collaborations using observatories in Chile. Over 40 collaborations that include participants from the Americas are funded directly by the National Science Foundation and encompass disciplines such as physics, environmental science, oceanography, climate change, astronomy and other scientific endeavors. AmLight is the foundational infrastructure that supports $80,000,000 of NSF funding. In addition to NSF-funded researchers, other federally-funded researchers also use the connectivity including those funded by the Department of Agriculture, Department of Energy (DOE), National Institutes of Health (NIH), National Oceanic and Atmospheric Administration (NOAA) and National Aeronautics and Space Administration (NASA). Analysis of over 50 unique applications that either currently use or plan to use AmLight infrastructure underscores its critical importance. Most of the research projects are headquartered in the United States and involve collaborations with researchers and instruments/observatories in Argentina, Bolivia, Brazil, Chile, Columbia, Costa Rica, Ecuador, Guatemala, Mexico, Panama, Peru, Uruguay and Venezuela. 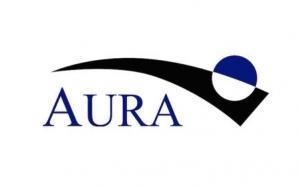 The Association of Universities for Research in Astronomy (AURA) is a consortium of 42 US institutions and 5 international affiliates that operates world-class astronomical observatories. AURA’s role is to establish, nurture, and promote public observatories and facilities that advance innovative astronomical research. Founded in 1956, the National Radio Astronomy Observatory (NRAO) provides state-of-the-art radio telescope facilities for use by the international scientific community. NRAO telescopes are open to all astronomers regardless of institutional or national affiliation. The Atacama Large Millimeter/submillimeter Array (ALMA), an international astronomy facility, is a partnership among Europe, North America, and East Asia in cooperation with the Republic of Chile. 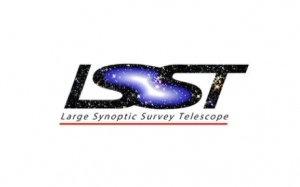 The goal of the Large Synoptic Survey Telescope (LSST) project is to conduct a 10-year survey of the sky that will deliver a 200 petabyte set of images and data products that will address some of the most pressing questions about the structure and evolution of the universe and the objects in it. National Network for Research and Education in Chile (NREN), Red Universitaria Nacional (REUNA), is a corporation that currently consists 35 research institutions (19 universities, 10 research centers of excellence and 5 international astronomical groups). The digital platform of REUNA has coverage in twelve regions of Chile, between Arica and Osorno, and aims to add to all regions of the country. 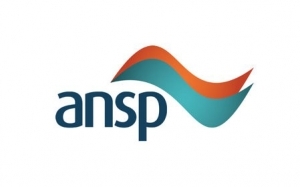 The ANSP project (Academic Network at São Paulo) provides the State of São Paulo research community with state of the art computer networking connectivity. ANSP develops and maintains the infrastructure, Internet services and data communication in general which, in conjunction with ANSP’s Technical Reserve Program, offers the education and research community in the State of São Paulo the technological means needed to access information throughout the world. RedCLARA – Cooperación Latino Americana de Redes Avanzadas (Latin American Cooperation of Advanced Networks) is a non-profit organization. RedCLARA develops and operates the only Latin American advanced Internet network and provides regional interconnection and connection to the world through its international links to GÉANT2 and Internet2 (USA) and, through them, to the advanced networks of the Caribbean (C@ribnet), Africa (UbuntuNet Alliance), Asia (APAN, TEIN), among others. 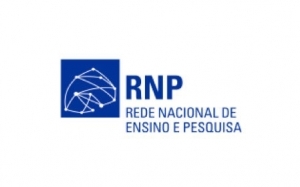 The Brazilian National Research and Educational Network (Rede Nacional de Ensino e Pesquisa – RNP) provides global integration and collaboration supported by information and communication technologies, for the generation of knowledge and excellence of education and research. Internet2 provides a collaborative environment for U.S. research and education organizations to solve common technology challenges, and to develop innovative solutions in support of their educational, research, and community service missions. Internet2 consists of more than 250 U.S. universities, 80 leading corporations, 70 affiliate members and government agencies, 39 regional and state education networks and more than 65 national research and education networking partners representing more than 100 countries. Florida LambdaRail (FLR) is Florida’s Research and Education Network. With its 100 Gbps 1,540 mile dark fiber network, FLR provides a cost-effective, ultra-high speed, interconnected, broadband service delivery network that enables Florida’s higher education institutions and partners to collaborate, connect, utilize and develop new innovative broadband applications and services in support of their scientific research, education, and 21st century economy initiatives. 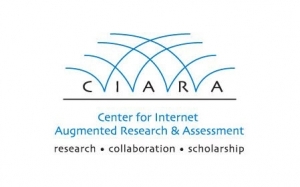 Florida International University’s Center for Internet Augmented Research and Assessment (CIARA), in the Division of IT, has developed an international, high-performance research connection point in Miami, Florida, called AMPATH (AMericasPATH). AMPATH extends participation to underrepresented groups in Latin America and the Caribbean, in science and engineering research and education through the use of high-performance network connections. AMPATH is home to the Americas Lightpaths (AmLight) high-performance network links connecting Latin America to the U.S., funded by the National Science Foundation (NSF), award #ACI-0963053 and the Academic Network of São Paulo (award #2003/13708-0).